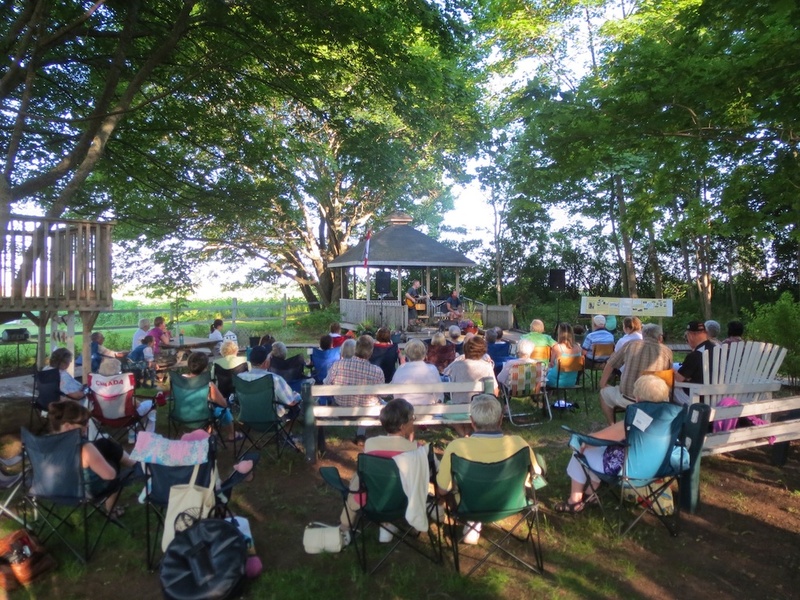 All are welcome to attend Clyde River’s 2014 Celebration Garden Party and Concert in Murchison Place Park next Sunday, August 3rd, beginning at 1:30 p.m. It will be a walk back in time as a few of the hosts will be dressed in period costume, and they welcome any guests to join in, as there will be a prize for best costume. Pam Wheatley from Cornwall Library will read to the children. Bring along a lawn chair and enjoy this free concert. Rain location will be Burnside Presbyterian Church, across the road. After the park event, refreshments, fresh-baked biscuits and jam and other treats, all freshly-baked by Thelma Gillespie and and her volunteers, will be served just a short walk down the road at Riverview Community Centre. Prizes will be awarded. This event is made possible by the PEI 2014 Fund and is hosted by the Clyde River Women’s Institute. Murchison Place Park is located among the trees at the corner of Trans Canada Highway and Clyde River Road. Parking is available in the Burnside Presbyterian Church parking lot.